Mr Cheong Aik Chye is the sole proprietor of A C Cheong and Co. He completed his law degree with honours in London and commenced practice in Singapore in 1991. He actively practices criminal law, advises on personal legal matters, and mediates disputes. Throughout his long legal career, he has advised and acted for clients in diverse areas of the law. In criminal matters, he has handled drug trafficking cases and murder cases. In civil matters, he has litigated disputes over collective sales agreements, contracts for sale of goods, directors’ duties, and personal injury claims, among others. His comprehensive trial experience includes submitting and arguing cases before the High Court and the Court of Appeal. At this point in his career, Mr Cheong’s practice focuses on the areas of law that he is highly passionate about. Having been in the police force as a senior police officer for almost 16 years before becoming a lawyer, he has special expertise in the area of criminal law. He takes pride in advising and defending his clients in criminal matters. Besides criminal law, Mr Cheong advises on other personal legal matters such as wills, probate, and employment agreements. He also handles real estate matters. Another area that Mr Cheong is active in is mediation. 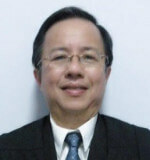 As an associate mediator with the Singapore Mediation Centre, Mr Cheong is experienced in mediation. He is well-placed to mediate disputes, in particular neighbor disputes and claims. He sees mediation as an increasingly inexpensive and credible way of resolving disputes.